What is cooler then owning a 4-door Wrangler JK? Owning a 4-door JK that you converted into a pick up truck! 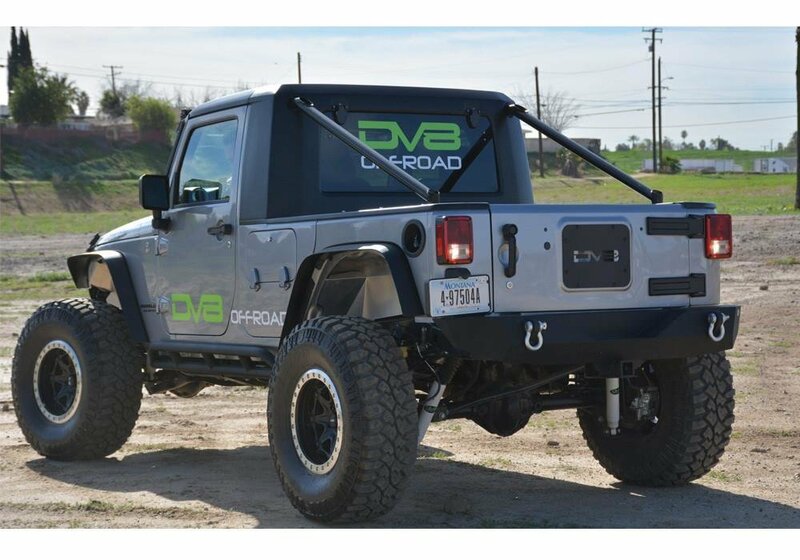 That is right with this Truck Conversion Kit from DV8 you can turn your 4-door into a 2-door pick up truck. 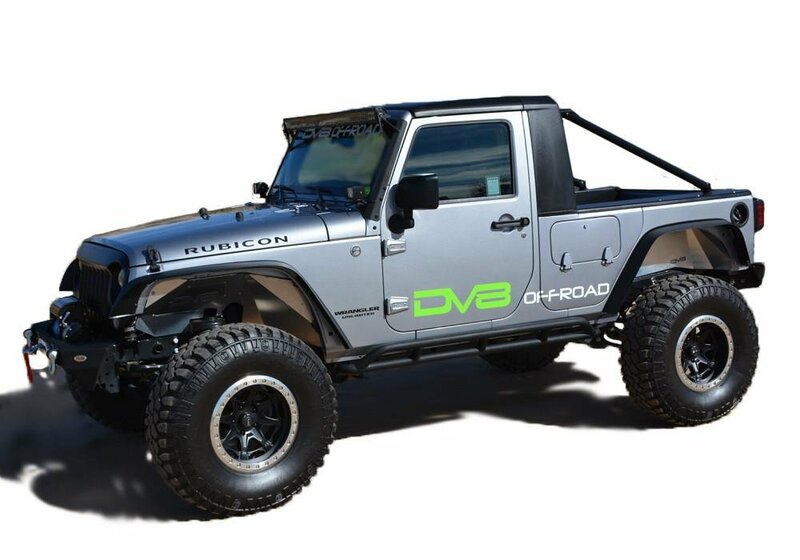 This kit comes with everything you need to make the conversion so you can have a one of a kind Wrangler JK. One of a Kind Style: Ride around town or the trails with a Wrangler pick up truck. Turn the back half of your Unlimited into a truck bed giving you more room to haul around whatever you want. Full Conversion: This kit comes with everything that is needed to turn your 4-door into a 2-door pickup truck. Installation: Professional installation is highly recommended for this kit. No, these are only available unpainted.